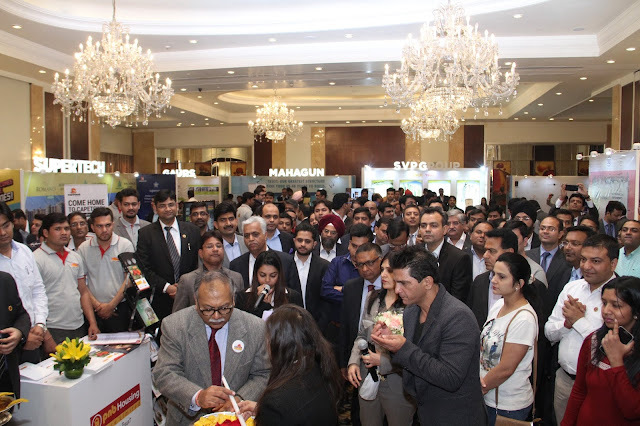 28 February 2017, New Delhi: PNB Housing Finance Limited, one of India’s premier and fastest growing housing finance companies, saw a massive response to their maiden property exhibition ‘Ghar Utsav - The Dream Home Expo’, on 25th and 26th February 2017 at Shangri La Hotel in New Delhi. 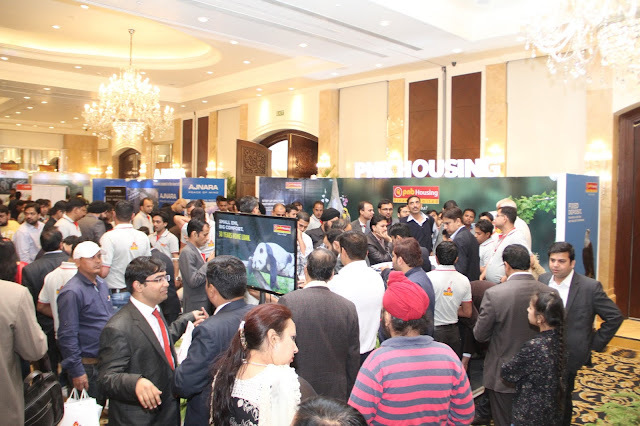 More than 4,000 prospective home buyers walked in at the expo to avail attractive offers like 8.5% p.a. rate of interest with zero processing fees by PNB Housing. Along with this, 21 prominent real estate developers showcased properties starting from INR 20 lacs along with other attractive offers. Ghar Utsav has been one of the most awaited exhibitions slated after a long time and garnered overwhelming response signifying that there is an emergence of positive sentiments in the sector. More than 900 on-the-spot loan approvals were done indicating gradual change in the buying decision of home buyers. The real estate developers shared that 21 properties were booked at the venue itself while close to 1900 customers have shared interest in booking properties at a follow-on date. The event pulled down its curtain with a high intensity gala night where the sensational Delhi based Musical Group Kabul Rishi and Rockveda performed on some of the mesmerizing Sufi and Bollywood numbers. In its distinctive style, the Ghar Utsav expo gave special attention to the arrangements for children. Separate kids zone and painting canvases were arranged. Selfie zone was also installed for the photogenic crowd. The prominent real estate developers that participated in the event were Ajnara, Supertech, Gaursons, Mahagun, SVP Group, ATS Greens, SG Estates, Panchsheel Group, Puri Constructions, Vatika Group, Lotus Greens, Tata Value Homes, MCC Signature Heights, SHRI Group, Alpha Corp, Omaxe Limited, Sethi Group, MG Housing, MAPSKO Group, Vipul Group and M3M India. PNB Housing Finance Limited (NSE: PNBHOUSING, BSE: 540173) is promoted by Punjab National Bank and is a registered Housing Finance Company with National Housing Bank (NHB). The Company got listed on the Indian stock exchanges on 7th November, 2016. The Company offer its retail customers “housing and non-housing loans”. The Company is also into construction finance loans to real estate developers for residential housing. PNB Housing Finance is a deposit taking Housing Finance Company.